Since its incarnation many moons ago, Who Wants to be a Millionaire has seen many a game version made for the TV show. Stemming from the first set of games that came with the original Playstation era spanning all the way to this current generation, each and every game that has come along as somehow raised the bar higher then before with improvement after improvement. So with that said, how does this new take on once ever so popular TV show fare up? Should you be spending your hard earned points on the game followed shortly by the downloadable expansions? Read on as we find out! Gameplay - 6/10 Anybody who has ever watched Who Wants to be a Millionaire will know that the game is pretty basic in the fact that as a contestant you have to sit down and answer fifteen questions correctly as you make progress towards getting to the one million question. As you may expect, the game does indeed follow this down to a tee but one thing I would like to point out is that in 2007 their was a rule change to the UK version of the show in which the contestants only had to answer twelve questions, but this version of the game follows the old rules in which they have to face fifteen. So let's get onto the actual gameplay which in a sense was summed up in that previous paragraph. When you start the game you will be asked if you would like to play normal Who Wants to be a Millionaire or one of the special downloadable add-ons which add new trivial packs to the game. From there you are then asked how many players would like to take part in answering questions in game, you can choose between one to four players which is a nice added touch if your family and friends want to play but not scream out the answers. Once the game starts you are then placed straight into the fastest finger first area in which you are given a question and the family member who answers correctly and in the fastest time will then be the one who goes onto face the fifteen questions in game. As you make progress you will be given the option to answer from four multiple choice answers and most of the questions at first are relatively easy and won't cause too much of a hassle. 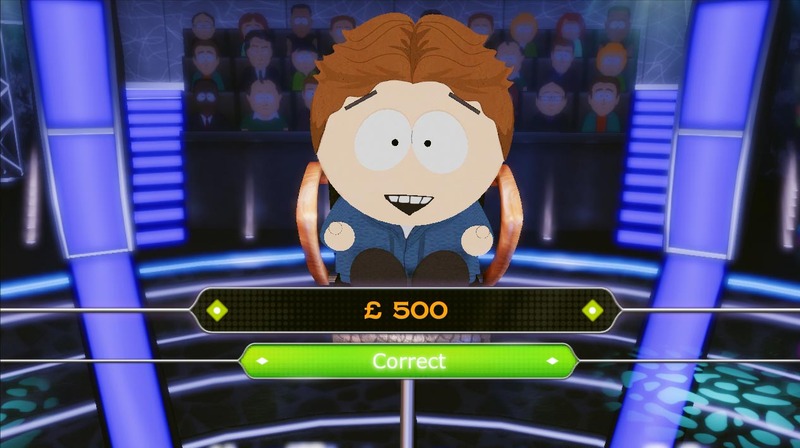 When you get to the fifth and tenth question in game you are awarded milestones, these milestones allow you to answer questions from that point on, and if you get an answer wrong you would leave the show with the amount of money that is on that milestone be it, one thousand or thirty two thousand pounds. If you become unstuck and don't know the answers to a question or questions then you will be happy to know that your lifelines do in fact return in this game and you get your normal three plus the option to walk away. One of my gripes with how the lifelines work in this version of the game is that, when you choose to phone a friend you are just given the same person over and over again and you're not allowed to choose who you want based on strengths and weaknesses in categories. At any time you are allowed to walk away with any set amount of money that you currently have won, you are even allowed to walk away right at the start of the game with nothing in your wallet apart from cobwebs. But one area of the game that I felt was missing was, when choosing a question you are not asked if you are sure you want to choose that answer. As soon as you press A the answers automatically locks in which can be a real big pain and will no doubt cause some people to get answers wrong for no reason. 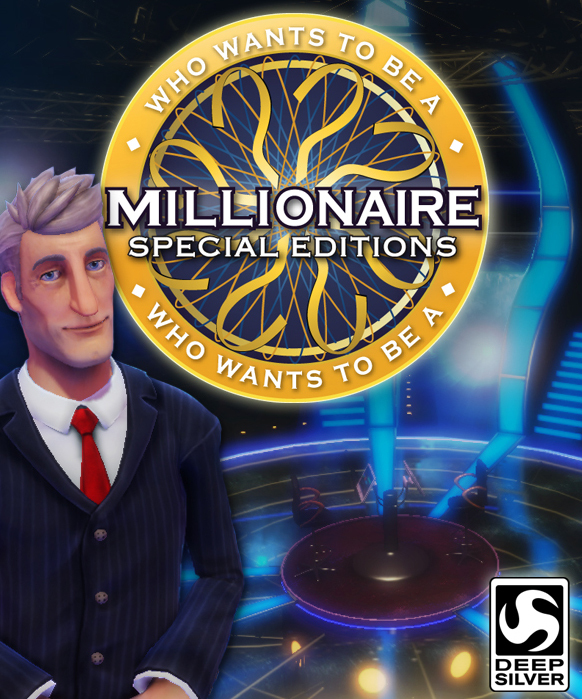 Overall a game based on Who Wants to be a Millionaire is no doubt going to be a simplistic one, this version of the game does stay very true to the show and with the downloadable add-ons promising new and fun ways to play it will be interesting to see where the series will go. In a sense the fact that the game doesn't support a multiplayer component is a shame, it could have fitted in just as easily as the local co-op option but you could have gone head to head competitively with people from across the globe. Graphics - 8/10 Graphically this version of Who Wants to be a Millionaire is as spot-on as you would expect from a video game adaption especially seeing as it's an arcade game. The set up is exactly the same as seen from the TV show and the attention to detail is quite astonishing with many different textures added into the mix to help things look more lifelike. Hell they even included the infamous chairs in this game as well! This though is probably where the graphics are at their strongest as the rest is pretty much average. Let me explain this theory by talking about the character models used in game or the lack of in this case. The only character model you are going to be witnessing unless you have the South Park add on is the host. Whilst the host may look good at first glance you will soon notice that his animations are rather stiff and lifeless. Things start to get even worse than a host who looks as stiff as a plank, his animations for certain actions in game are rather very limited, and within one game you will probably witness all the actions that he has to offer to you as you play. This wouldn't be so bad though if the developers had decided to add in a contestant character model also. When the camera pans out and slightly spins around the studio, you will notice that your character is a model of either a male or female, sounds good right? Well you will be disappointed to find out that your male or female is just in fact a generic model with no colour attached to it in any way shape or form. This is a real eye sore to look at when the camera does spin around and all you can see sitting on one of the chairs is a person with no life or soul. Would it really have been so difficult for some pre set characters that we could have decided to use instead? Presentation wise the game is really well laid out and again like the overall set up of the show, everything is modelled correctly and functions just as it would do if you were watching the show at home. The menus are nicely laid out and are big enough to easily see what the question is asking and what answer you would like to give. The lifelines are all easy to spot and when used each have their own effect which is a nice touch. Overall if your looking for the TV show experience then this game will deliver as it does look great until your delve deeper. Whilst not the best looking game on the market, its easy to see that this game was never meant to be and what it does offer is more then sufficient for the type of game. Just being able to see the host is a nice step up in the franchises gaming history as this was never normally the case. As you can no doubt tell, character customization is excellent in this game! Sound - 6/10 When it comes to trivial games, normally sound doesn't play a very big part as you are just tasked with answering questions. This again is the case unfortunately for Who Wants to be a Millionaire. Let's start by talking about the host of the show who is only tasked with having a few lines to read out, in which are repeated many times during the course of a single game. If you set your mind back to the time when Who Wants to be a Millionaire was at its pinnacle of entertainment, the games back then would have the host reading off the names of the questions and the answers. Again though this is not the case as the host will simply say welcome to the game and let's get started followed by a few phrases that come as you progress through the game. What makes the sound area even worse though is that when using the lifeline of phone a friend, instead of having a person or persons if you will choosing between answers, we get one guy who will just hither and hother and not actually offer you an answer. It was quite infuriating to listen to in all honesty because it felt like a really cheap move and an extra way to save on money than to actually get somebody to say a few more lines of speech. It is always the same hmm and arrs to boot also. The only real saving grace though comes in the form of the music that is used in game, it is all the original music that is from the show and all licenses have been acquired. This means that no matter what set of questions your facing be it the very first easy set to the hardest set, the music will always be different and really helps set the tone of the game. Even the ask the audience and 50/50 lifeline sounds have been included in the game which was a really nice touch. Overall, like many Millionaire games over the past couple of years, it seems like the developers took a real good look at the product that they had and decided that not splashing out that extra bit of cash for some decent audio wasn't needed. When in fact if voice actors or even more lines of speech were added to the host, this could have been a really good game to listen to and take part in. Just hope your coming here for the questions and not the audio! Difficulty - 3/10 Difficulty is always a hard one to sum up when it comes to reviewing games based around general knowledge. With that said this game is no different and because of that this game is about as difficult depending on how good you are at general knowledge. If you class yourself as the brains of Britain then this game will probably be relatively easy for you, but if you're not overly smart and know it then you may have some problems when it comes to answering some questions. One of the problems I found with the game though is it seems to have some rather weird difficulty spikes, and what I mean by this is that you could be on the seventh question out of fifteen and be asked something about the fifteenth centaury that many people many not know, but you could get to the final question and be asked something easy and to do with the twilight films. If you do have problems with the game though, it is always nice to know that you have got your lifelines to help you out and you can even walk away with the cash you have earned to save losing it all on a question you got wrong. If you run out of lifelines you can always run to your computer and ask googly nicely to help you out though which is a plus! Overall the game isn't very difficult, you will undoubtedly run into some problems with questions that you don't know the answers to, but if you can get past these then you may find yourself going through the next five questions with ease to the next milestone. Look how happy he is with his sum of money, wonder if he will stay that way? Achievements - 7/10 This is an area that could easily be considered as a sore point for the game, because let's face it there is only so much you can do in a normal game of Who Wants to be a Millionaire compared to other trivial games currently on the market. Because the game only really features one mode in which you answer questions, obviously the achievements are then based around this area. The list itself is a relatively easy one, and will probably take you no longer then an hour at max to achieve everything that the game has to offer, the highest selling point to the list though is that it forces the player to play through multiple times to achieve different goals, be it winning the million without using a lifeline to achievements such as walking away between set scores and even failing to get the last question right resulting in you walking away with far less. There are also a few easier achievements thrown in for good measure such as using a lifeline for the very first time and even getting your first question correct and another for walking away with absolutely nothing. It is pretty imaginative even if it's something we may have seen before with other millionaire games currently on the Xbox 360. Only one achievement may prove to be a chore for gamers though and that is the answering the fastest finger round correctly and within a four second time limit, sometimes the questions themselves will be fairly long and will take a good second or two to read through which is then followed by working out the answers. You could easily try to cheat and put any old answer down but in the long run it can sometimes be quicker just to play it normally. If more modes were available apart from multiple people playing at any one time then perhaps the list would have been a little better then it is now, an online component probably could have worked also which would have added in the ability to add in extra achievements. However what is here is more then satisfactory and will no doubt give anybody a quick and easy two hundred gamerscore. Summary Whilst the game is rough around the edges, there is no denying that for short periods of time the game is fun to crack out and either enjoy yourself or with the rest of your family. Maybe it's not as good as other games like it on the market but the attention to detail that this title offers is more then satisfactory for the asking price. Never did I witness a question that I had already answer previously and with the additional packs coming out you will be hard pressed to find a better source of general knowledge whilst maintaining that fun but yet competitive side of the game. Overall the title is worth a purchase even if it is just for the festive period.